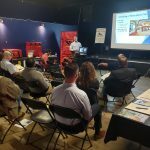 NCBPA held this workshop on March 13th in Raleigh to educate residential and commercial contractors, architects, commissioning agents, product suppliers and industry professionals on the ins and outs of meeting the newly mandated air barrier requirements in North Carolina’s commercial energy code, effective January 1, 2019. 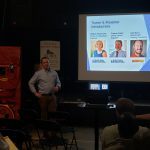 The new air barrier requirements for new construction in NC creates new opportunities for industry professionals to learn these valuable skills and sell their services to customers across the state! 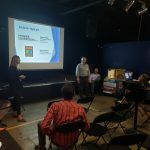 The workshop provided hands-on instruction on how to: identify common air barrier problems during the design phase, anticipate common flaws observed during the construction phase and how to resolve these to meet the new code requirements. 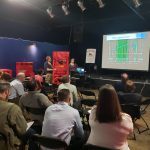 The first half of this workshop provided a code presentation outlining the new air leakage and barrier requirements with real examples from our trainers and sponsors. 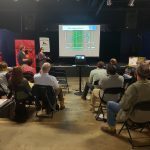 The second half of this workshop provided an in-field whole building test, performed by the pros from High Performance Building Solutions! Want to read more? Click here to read an article by NCBPA Allied Partner Retrotec. 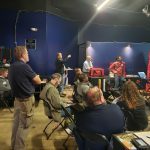 Want to bring this workshop to your area? We do, too! Contact us to discuss offering this workshop where you work. The workshop is great for code officials, builders and developers, architects and all types of contractors. Sponsor and exhibitor opportunities are available! Understand the 2018 NCECC Commercial MANDATORY Air Leakage Requirements including a breakdown of the building envelope and barrier requirements. Learn the two options of compliance for air leakage design (prescriptive and ASTM E 779) followed by case study examples. 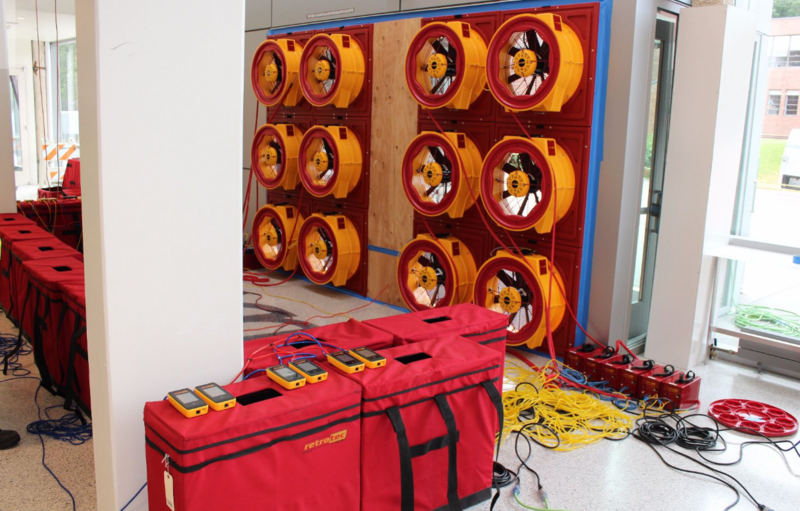 Learn how to prep, test and analyze a full air leakage performance test on an existing commercial building. Understand the how’s and why’s behind performance testing, the resources you need to pursue more detailed tests and information on various products that are available for in-field testing. Tnemec Company: manufacturer of coatings and coating systems for exterior and interior environments. Spirit Sales Group: independent manufacturers’ representatives specializing in construction products and building envelope systems in the Carolinas and Virginia. Mosher Engineering: full-service engineering firm servicing new buildings, renovations and historic remodels across the mid-Atlantic. 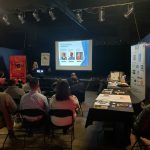 CSI Raleigh-Durham Chapter: the mission of CSI is to advance building information management and education of project teams to improve facility performance. 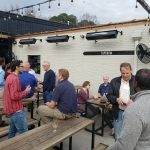 After the workshop, attendees and NCBPA members enjoyed a networking event right next door at Trophy Brewing Co.